A quick weeknight dinner that comes together in minutes, if you have quinoa and vegetables on hand. Cook quinoa (I use one part to two parts water) as per instructions. 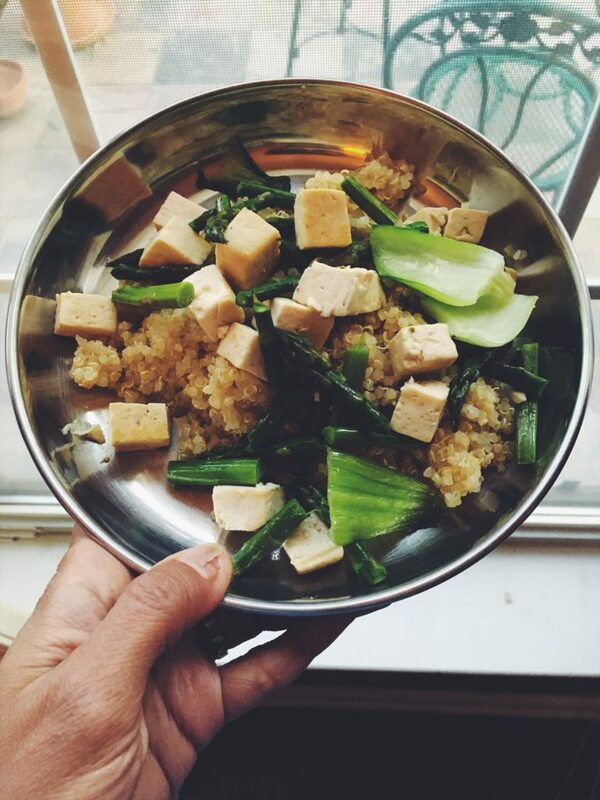 Do a quick sauté of vegetables (I used baby bok choy and asparagus) and tofu (optional) in oil of your choice. Keep the veggies crunchy and bright. DO NOT OVERCOOK. Optional seasonings: Bragg’s liquid aminos, toasted sesame oil, ginger oil, shallot oil.